Overcracker wrote: Who knows... it may eventually be remolded for the different Bee looks. Both AoE deluxes are on my desk right now, and the other day I had the Movie deluxe and Movie Premium deluxe here. All the Bumblebeeeeeeeeeeeeeeeeeeeeeeeeeeee! So JulySUMMER for both Optimus and Bumblebee. Gotta save up those TRU rewards!! Last edited by Scramjet on Fri Apr 28, 2017 12:57 pm, edited 1 time in total. So July for both Optimus and Bumblebee. Gotta save up those TRU rewards!! I love your excitement, but where are you reading July? So July SUMMER for both Optimus and Bumblebee. Gotta save up those TRU rewards!! July has been the press releases you guys posted for Bumblebee, "Summer 2017" for Optimus. It's why I'm not on the news team. Last edited by Scramjet on Fri Apr 28, 2017 1:03 pm, edited 1 time in total. If they both happen in July, I expect a news credit though. itscramtastic wrote: If they both happen in July, I expect a news credit though. I decided to Snipping Tool some of the months old video from Dengeki Hobby. Thanks Cram, I finally noticed something. People were saying it wasnt the right car mode and I dint really see it, but now I do. That camarro for MPM Bee doesnt have the vent on the hood (the black line going horizontal). And not sure if it has those details on each side of the bottom part of the front. That is pretty weird that they missed that!! And the accent lounges for the faux vents on the rear quarter panel. Lower fascia looks off, and the mirrors too. Are they going more for the production version and not the concept version that was in the movie? itscramtastic wrote: That is pretty weird that they missed that!! And the accent lounges for the faux vents on the rear quarter panel. Lower fascia looks off, and the mirrors too. Are they going more for the production version and not the concept version that was in the movie? 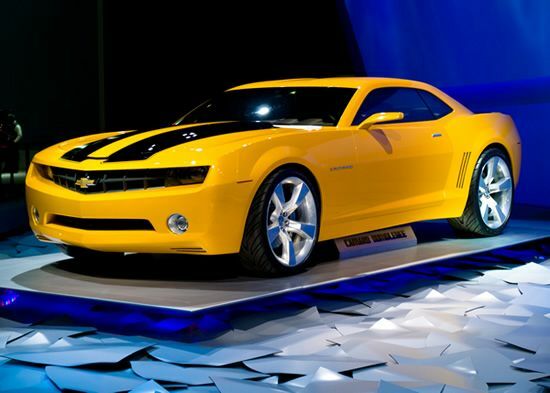 We're talking about the 2008 Concept Camaro of the first movie right? If so, all the standard toys with that model have a smooth hood, no vent: that would introduced for the 2010 model in Revenge of the Fallen, which also featured a different front end design. But isnt the vent sculpted detail on the standard 2007 deluxe? I can swear I see some raised horizontal detail at the front of the hood. In any case, I think a bigger problem is the detailing. Why the original 07 toy has the right black lines and the new MP doesnt is beyond me. See, I would be into cars more... if only they didn't change small parts of the overall design every few years! 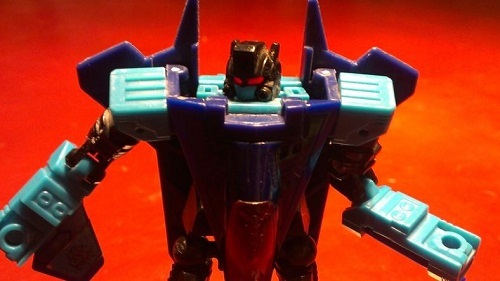 I like Bee's Chin Spoiler so I would have preferred a ROTF Bee but if they are going to do a 2007 Concept bee do a 2007 Concept be don't make a toy that is based on the production model - that is illogical. He's also way to yellow and not metallic enough either. The actual car does have very thin lines around the hood stripes so that isn't wrong - they just are so thin they don't show up very well - try looking for clear daylight shots you can see them then. But I agree the wing mirrors are production model ones and so quite wrong. I would laugh by backside off if when this gets Knocked off if it gets fixed that would be hysterical. itscramtastic wrote: I decided to Snipping Tool some of the months old video from Dengeki Hobby. Any chance those door-wings are capable of angling inwards to achieve a more accurate look? Last edited by Sigmus Prime on Mon May 01, 2017 11:08 am, edited 1 time in total. Any chance those door-wings are capable of angling in to achieve a more movie-accurate look? I know what you're talking about, and I don't think those quarter windows are pinned to rotate. It's almost like butterfly wings when you see him in the movie, an upper and lower wing. WJ, I was just checking things out on my Movie Concept Camaro Bumblebee, they are definitely missing details that deluxe had on this MP!! WHY?! 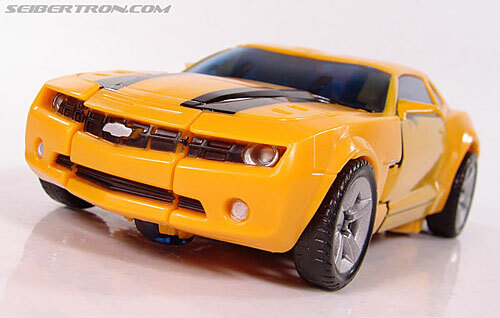 itscramtastic wrote: WJ, I was just checking things out on my Movie Concept Camaro Bumblebee, they are definitely missing details that deluxe had on this MP!! WHY?! Yeah its really odd. The deluxe had the sculpted hood fan and the right mirrors. I have no clue why the MP is of a car that BB never actually had in the films. Well, I do have a clue but its a bit of a lame answer, the concept camaro is a car that we couldnt really buy (I think), so instead they used the model of the car that was produced and available to the public. But like whats the point since its now an old car and it doesnt need advertising for people to buy it. And to answer RAR, yes the movie did have thin outline lines in the detailing, but they were super thin not like the detailing found on this MP. I find that more odd than the missing details, to be honest, since it stands out more. Yeah, they got the licensing so they had to make the "Production Version" even though they had the licensing then to make the "Concept Version". So lame. 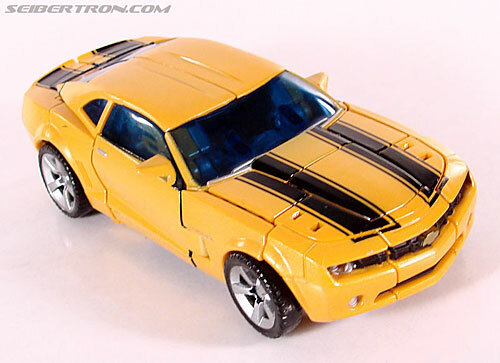 I wonder how close is it to the Camaro Transformers Edition Package they had for the Camaro though..? Yes BUT they are making this MP of the production version and not of the Concept that was in the Movie in 2007! 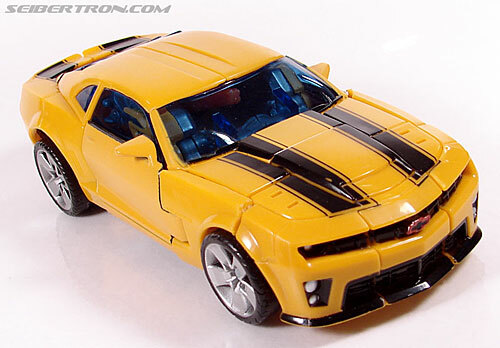 The true fact of the matter is, the Bumblebee on screen is never the actual production Camaro. So there isn't a true life to screen counterpart. So why are they trying to do that! why in the world of flying monkeys would they do. yes, I think the colour is wrong. But then again, there is a filter in the colouring of the film so who knows what the car actually looked like on set. 4,505 pages were recently viewed by 771 unique visitors. This page was viewed 1 times on Thursday, April 18th 2019 11:47am CDT. © 2019 Seibertron, Inc. DBA Seibertron.com. All Rights Reserved. Established June 2000. Seibertron.com is owned by Ryan Yzquierdo.